University of Zimbabwe (UZ) has announced plans to construct a “Uni-City” — a university town that will be dominated by its university population. The first of its kind in Zimbabwe, the ambitious plan has been approved by authorities to allow for a mix of development, open space and recreational activities, and the university said it was seeking the provision of consulting services for an environmental impact assessment for the Uni-City together with a shopping mall. 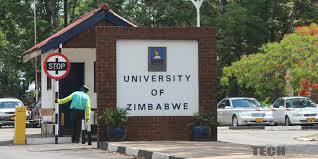 “Over and above the terms of reference the consulting firm or consultant will be responsible for crafting and aligning the departmental objectives with the overall institutions objective,” the UZ said in a statement. The Daily News heard the Uni-City will be large, with several smaller institutions clustered, with a small residential population, with educational institutions pervading economic and social life. The plan is for local residents to be employed by the university, with many businesses catering primarily to the university’s student population. The UZ said it was also planning to build a shopping mall. This comes as the citadel of higher learning is transforming its education system to focus more on a pragmatic approach to innovative research and industrialisation to deliver relevant goods and services in the country.